Whatever you seek to build in life, whether it be a career, a relationship, a building, or a fortune, things tend to work out best when you start out with a solid foundation and then take things one step at a time. 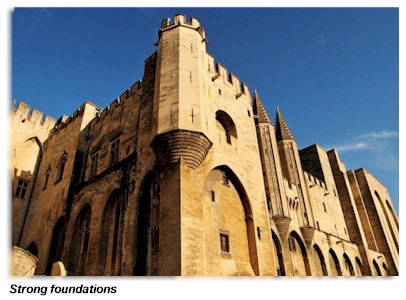 In the last section: A Unified Perspective we laid the groundwork (groundwork is what you do before the foundation), now we are going to begin working on the actual foundation Fundamental Principle. 1. Understand the truth behind the laws of attraction. 2. Understand the mechanics behind the laws of attraction. 3. Begin taking control of the laws of attraction in your life. The Fundamental Principle pervades all the other tools you will be using, and it’s old, very old. So old in fact that many scholars claim it is the Fundamental Principle upon which all civilization was built. That’s a bold statement, and historians definitely disagree about exactly how old it is. 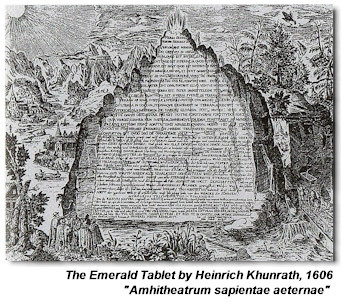 The first widely accepted instance of the Principle is on The Emerald Tablet of Hermes Trismegistus (the thrice wise). Plato, if we are to believe Plato, claims the Emerald Tablet dates back to about 9600 bce (nearly 11,000 years old). Modern historians aren’t so generous but do agree that “it was written before 172 bce (over 2,000 years old) .” So important is this tablet, that Sir Isaac Newton (father of modern physics) spent years of his life working on a translation. However, that’s just western culture history. 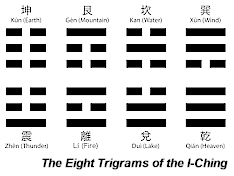 In Asia, we see evidence of the Fundamental Principle throughout the I-Ching (the Book of Changes), as well as details for its use and application in creating change in one’s life as well as the building of Asian civilization, dating back to at least 2800 bce (about 5000 years ago). In this way, both Eastern and Western scholars, theologians, and scientists have made the Fundamental Principle the single pervading cornerstone for all world culture as well as the Imperial tool for the creation and manifestation of entire societies and civilizations. This Principal is the underlying and guiding principle for the formation of Entire Empires, it is the Rulers tool, the Pharonic yardstick, and the Papal ruler. This tool is so powerful, that for the last 5,000 (at least) it has been used to create every major advance in architecture, culture, science, and politics… This is why we call it the Fundamental Principle, and now you will begin putting it to work for you… But first, we need to Debunk a little Secret.